Senator Bernie Sanders paid a visit to Early Education Services on Friday, January 26 to see first-hand the great agency he heard about from EES Executive Director Debra J. Gass in his Washington DC office at the Capitol Building two days before. The Senator was able to meet with EES parents, staff, Brattleboro Town School Board members and WSESU Superintendent Lyle Holiday after visiting an EES Early Head Start classroom Friday afternoon. 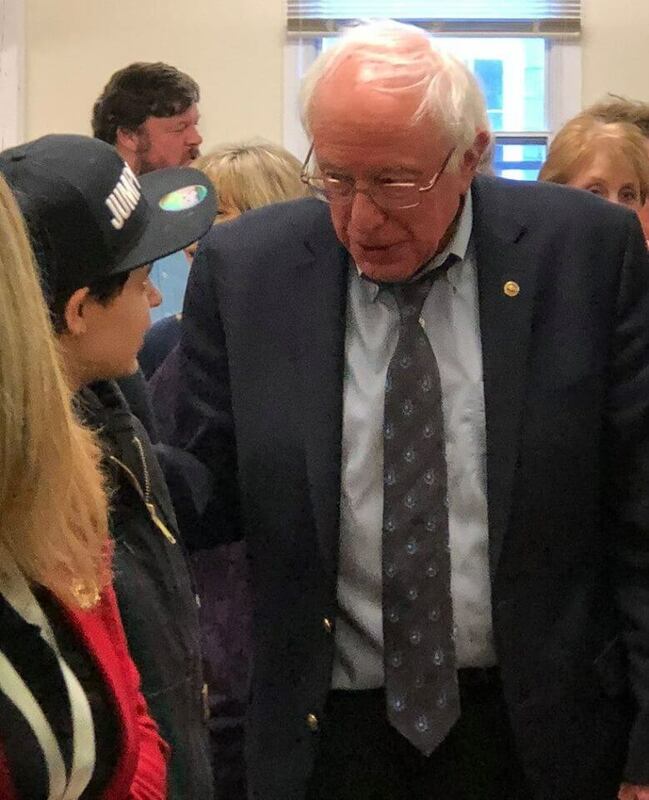 Sanders heard about the many challenges in our community as well as how Brattleboro Schools and EES are working to meet these challenges by supporting families and children. His enthusiasm and genuine support for EES was well received and provided a “morale boost” for our employees, parents and community participants.